Zlatan Ibrahimovic making waves in Paris. Pep Guardiola's honeymoon period at Bayern appears over. Why the typical football supporter is an imbecile full of beer and hate. The Gallic airwaves were crackling with polemic after Zlatan Ibrahimovic hit out at Paris Saint-Germain fans for jeering the team during their far from convincing 1-0 home win over Rennes. No radio station cranked up the rhetoric more than Radio Monte Carlo, where Daniel Riolo, the presenter of the After Foot show, took his life into his hands by savaging, the Swedish international diva: ” Zlatan has to be reminded who he is. He’s an extraordinary player, but he’s never made history at any club he’s been at. 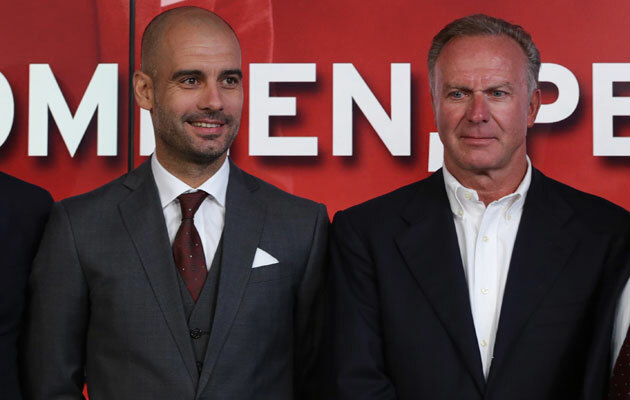 Pep Guardiola and Karl-Heinze Rummenigge are rumoured to be at loggerheads over the club’s direction. Thumped 4-1 at Wolfsburg, then held 1-1 at home by Schalke, Bundesliga leaders Bayern Munich have not exactly fizzed out of the starting blocks in 2015 and to further stir the critical pot, Barcelona daily, Sport, insist that Allianz Arena boss, Pep Guardiola is seriously contemplating heading for the exit at the end of the season. Citing reports of Guardiola talking about his time at Bayern in the past tense while at a supporter club function and the club’s apparent lack of urgency in contract renewal negotiations – the current one expiring in June 2016 – Sport correspondent, Robert Wulff claims that Pep and the Bavarian giants are engaged in something of a power struggle, Pep looking for more influence in the sporting department, while the top brass resist. 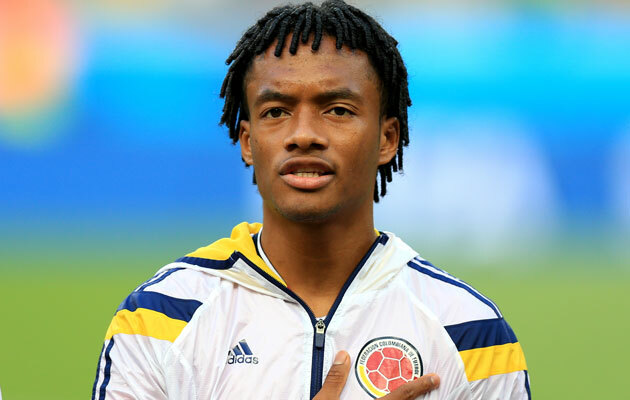 Ome of the few big moves in the Janaury 2015 window, saw Juan Cuadrado join Chelsea from Fiorentina. Chelsea’s decision to pay Fiorentina £28 million for flying Colombian winger Juan Cuadrado had his compatriots at leading Bogota newspaper, El Tiempo, proudly singing the praises of the former Independiente Medellin wide-man: ” He’s become a sensation for his attacking play on the right-wing. He’s very quick and can dodge defenders, two crucial elements for a coach like Mourinho, who especially likes to his team to make ground on the flanks. 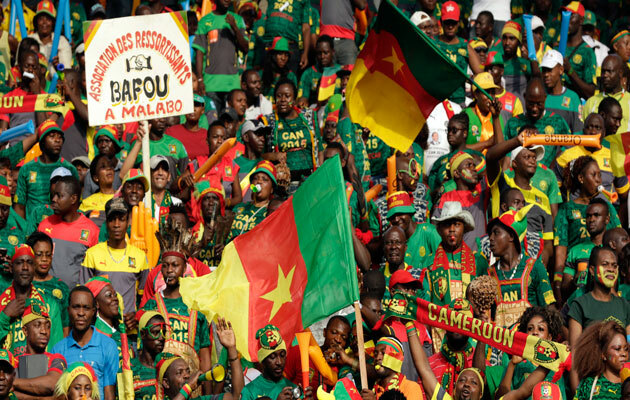 Indomitable Lions fans had little to cheer about after Cameroon’s dismal African Nations Cup campaign. One of the highlights of the coverage of the African Cup of Nations has been the florid judgements of Radio France International pundit, Joseph-Antoine Bell and his thoughts on Cameroon’s early exit were as full of panache as his goalkeeping used to be for the Indomitable Lions and Marseille. Money well spent? Wolfsburg paid Chelsea a club record €32 million for Andre Schürrle. 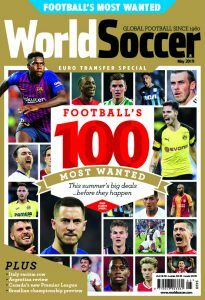 While many observers of the Bundesliga scene were mightily impressed by the ambition shown by Wolfsburg in splashing out £32 million euros on German world champion forward, Andre Schürrle, there were some voices of bewilderment to be heard. 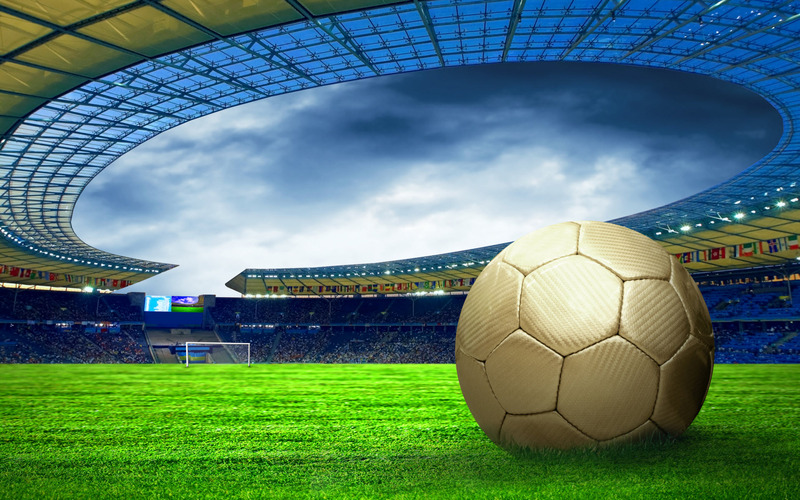 The German top-flight is renowned for its balanced budget ways and for Eintracht Frankfurt chairman, Heribert Bruchhagen, the VW-backed club were guilty of financial gambling. After unveiling this banner, Standard Liege fans confirmed the view that the typical football supporter is an ‘imbecile full of beer and hate’. 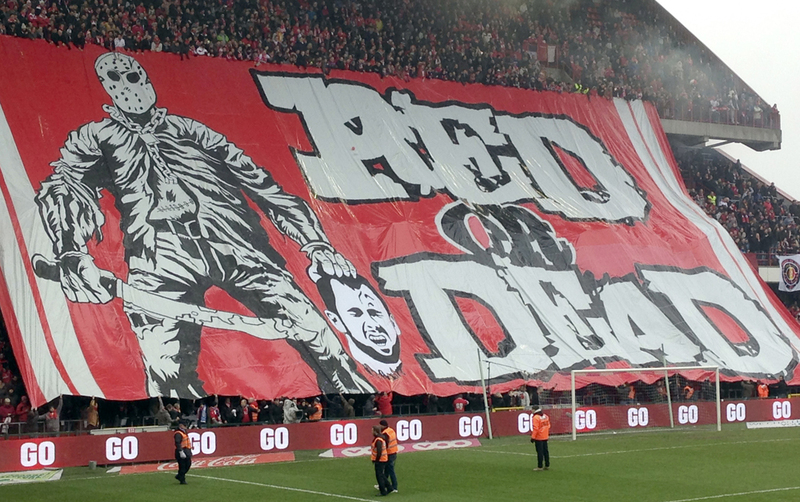 The extremely distasteful banner unfurled by Standard Liege fans at a home game with Anderlecht – depicting the severed head of midfielder Steven Defour, who used to feature for Standard but now plays for the visitors – continues to provoke outrage in Belgium. “In the eyes of many, the typical football supporter is an imbecile full of beer and hate. Standard’s ultras have lived up to that view, ” wrote Anthony Planus in an opinion piece in Sport/Foot Magazine.